One of the most revolutionary aircrafts in aviation history will rise from the dead this spring, as it takes to the sky for the first time in 60 years. It will be available to book for sightseeing tours and will be the ultimate experience for any aviation enthusiast or fan of retro flying. Named after its inventor, Hugo Junkers a businessman and entrepreneur, the aircraft went down in history for being the world’s first all-metal transport aircraft. So it was a pretty big deal when it appeared it 1919 and still holds nostalgic and awe-inspiring value today. The maiden flight will take place in March this year and flights are available for pre-booking through rimowa-f13.com. IMG: Baťa Aerodrome, Letiště Baťov Otrokovice. c 1930?? 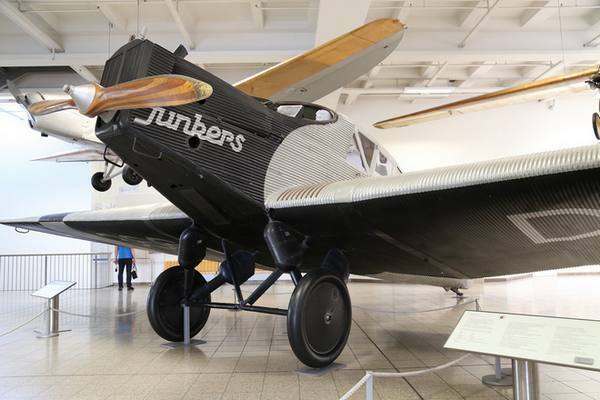 Junkers F13 by sludgegulper, Junkers F13 @ Deutsches Museum by NunoCardoso / flickr cc.